A chance to kick start the season is thrown away by bizarre selections and perplexing tactics. I was watching the early game yesterday and the commentator, who was fawning over Pep and the Arab lottery winners, shared his view that it was too early to consider Manchester United as serious title contenders as they had only played two of the weaker sides in the Premier League. Interesting that this is now how West Ham are classified but, on the evidence of yesterday’s appalling display at St James’ Park, it is fittingly justified. 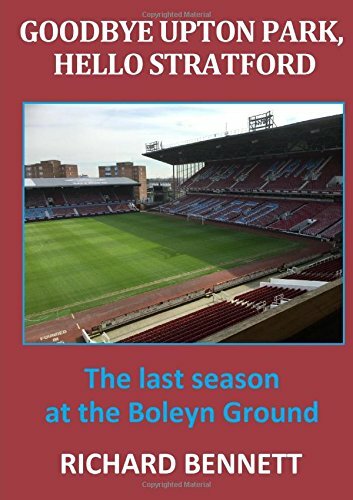 At the end of last season I believed that Slaven Bilic was lucky to have kept his job on the basis that there was no evidence to suggest he was equipped to take the club forward to the next level promised land. A consensus perception that summer player recruitment constituted a fantastic transfer window (as yet unproven) gave a momentary glimmer of hope but now it is evident that we are being served up the same disorganised fare that epitomised last season. Three games into the new campaign and all the warning signs are there of a desperate relegation struggle. Bilic may write it off as a ‘loss of form’ but what is he comparing it to? When did we last show the type of form that is now allegedly lost? If you look at the last nineteen league games (half a season) the record shows four wins, five draws, ten defeats and seventeen points; relegation form in anyone’s book during which time we have shipped an average of two goals every game. All of the shortcomings have been carried over from last season but with different personnel; no discernible style of play or tactics, players out of position, picking favourites, poor organisation and preparation, a collection of startled individual strangers rather than a team and a level of fitness that is way below what is expected. That we have signed players who did well at other clubs (Ayew, Snodgrass, Fonte, Nordtveit) but have bombed at West Ham cannot all be pure coincidence. Before the game yesterday there was a reasonable assumption that West Ham were coming up against a team that perhaps were in worse shape than we were. Doom, gloom and conflict appeared to have engulfed crisis club Newcastle United on their return to the top flight. By the end of the afternoon they had been made to look like world beaters. Ask a hundred West Ham fans before kick-off how the team should line up and I doubt that any would have chosen the eleven that Bilic selected. A random jumble of midfield players effectively handed the initiative to Newcastle from the off and left our only goal threat, Javier Hernandez, marooned and isolated up front. Bilic seems to have a notion that players can be slotted into any position at will while all the evidence shows that, not only does it not work, but it destroys confidence as well. Modern football cannot be so rigid that it hinders fluidity and mobility but such flexibility must still be meticulously drilled into players on the training ground; not just thrown together to see what happens. Baffling selections do not come any stranger than having all three of Pedro Obiang, Manuel Lanzini and Cheikhou Kouyate on the bench yesterday. Quite what Obiang, clearly the most competent and disciplined defensive midfielder in our squad, has done to be overlooked for Mark Noble and Declan Rice is bewildring. It should be no secret that defence isn’t just about the four or five at the back but how you approach it and cover for each other as a team. All good teams now defend from the front and our defence needs all the help it can get. With each passing week Noble looks more like the small kid who has been asked to make up the numbers with the big boys but simply can’t keep up; he is becoming Bilic’s Kevin Nolan. To rely on him and the rookie Rice, who is really a central defender anyway, to control the centre of midfield was foolish. It was a shame that it was Rice’s mistake that led to the opening goal but hauling him off at half time to be replaced by Lanzini only left the defence more exposed. That is probably Bilic done for his experiment with youth just as Oxford was jettisoned following defeat by Leicester two seasons ago. If Lanzini and Kouyate were both fit enough to be on the bench then at least one should have started. Is there some rule about a player returning from injury always has to be on the bench first. It was a surprise to me to discover that West Ham ‘enjoyed’ 63% of the possession in the game and that we bettered Newcastle on pass completion rate, aerial duels won and tackles made. It just shows how misleading the statistics are as a means of judging a game. Delve deeper and you will see that leading the field for number of touches were Angelo Ogbonna, Pablo Zabaleta, James Collins and Aaron Cresswell. This is indicative that we spend much of the time passing the ball around in our own half; a tactic that slows the whole game down and allows opposition defenders plenty of time to re-group. That possession resulted in only half as many shots as Newcastle tells it all. How many times does a West Ham free kick in a promising position result in a pass back to their own keeper? What is the intention? Once again the Whoscored website analysis for West Ham concluded that ‘Team has no significant strengths’; now that is one area where the statistics do not lie. How can you describe our play? There appears to be no plan of attack other than to lump the ball forward and hope to benefit from a mistake. There is never an outlet to relieve the beleaguered defence and very little movement off the ball to create space for others. Our defence tries to play a high line but is repeatedly beaten for pace meaning that they are horrendously vulnerable to the ball through the middle or over the top. Fitness levels are way below those of the competition, ball retention is woeful and the players give the appearance that having only just met and they are not really sure what is expected of them. For me this is all down to management and coaching. It is not about signing William Carvalho as the missing piece of the jigsaw. There is little point having ever more pieces when no-one has any idea of the picture we are trying to make. West Ham need a manager who can provide consistency, entertainment while building for the future. Bilic is providing none of this and does not look capable of doing so. Being a nice guy doesn’t win points and wanting to be mates with his players is a handicap; what is required is organisation, effort and discipline. Change is required. There may be other things wrong at the club but the Board are going nowhere fast and we can’t replace a whole squad of players. Sorry, Slav, you are the weakest link. Goodbye! Very accurate summation Geoff. Let’s hope they push the ejector seat on Monday rather than waste the International Break with dithering. It is obvious to almost everyone that he is clueless and incompetent. Looking at the teams before the game yesterday I thought that there was only Matt Ritchie in the Newcastle team who would get in our first 11. But their organisation and effort easily overcome us. Up until yesterday I was in the ‘when we get our first team on the pitch everything will be ok camp’, but yesterday highlighted our lack of organisation and the fact there seems to be no idea how to get the ball from the back to the front without a hopeful punt from the back. Lanzini was clearly not match ready as he gave the ball away so many times. Kouyate was asked to play a role he isn’t suited to. Ayew and Fernandes may be out of position but on this seasons showing shouldn’t be anywhere near the starting 11. Rice has played well and is always looking for the ball, but this often takes him into the backline, so we end up with 5 across the back and the 5 further forward marked by 10. Obiang was poor at Man Utd. I have to disagree about Mark Noble. If everyone was fit he might not start but in the 3 games I have seen live, when he has been on the pitch he has been our best midfielder. Yesterday he had to do an incredible amount of covering behind Cresswell in the first half because Fernandes wasn’t, he is the only one tackling in midfield and the only one who looks capable of creating anything. I have left Antonio out of this as I have no idea where he was playing yesterday though in the first half he was our most effective player. Our body language after the second goal went in was terrible. I agree Mark Noble may lack pace but he works hard and is the only one able to create a forward pass and as soon as he goes off we appear to let in a deluge of goals. I remain surprised how many people rate Obiang, to be shouldered of the ball by Mata, the smallest player on the pitch is woeful for someone who is supposed to be a defensive midfielder. The defence has never been the same without Tomkins who seemed to have a good working partnership with Reid. He may not have had the pace but there seemed to be much more organisation when he and Reid were partners. There is a distinct lack of any idea of how to defend as a team. At times against Cheltenham Mark Noble was playing centre back as the rest had gone walk about and Cheltenham were unlucky not to score when the hapless Masuaku and forever ambling Ogbonna were made to look foolish under an average cross. great article, my Spud fan mate laughed at the result and said WHU need to stop thinking they are a spurs chelsea or arsenal, Brady aiming for top 6 finish, bottom 6 more like it. Dont forget Newcastle and Sunderland relegated over recent seasons and they are both massive clubs, Misters DG and DS great fans they may be, but the club needs Leadership from the top not twitters and tweets all the time. Those of you who may have read the S Robson article saying when he came from arsenal to west ham he couldnt believe how un professional the club was then an probably still is. First game at home against another promotion side, cant see more than an a draw at best, it will be there cup final. early days but cant see us or palace out of the bottom 6 all season.